The Mob Museum : Las Vegas in a new light ? Get Americas propose you to take advantage of Las Vegas to organize your future professional event in the Mob Museum which will open in spring 2018 ! The National Museum of Organized Crime and Law Enforcement (also called Mob Museum), located in the downtown of Las Vegas is dedicated to the history of organized crime and law enforcement, it provides an interactive world-class journey through true stories. This eye-opening, authentic view of organized crime’s impact on the world reveals an insider’s look at the events and characters of the continuing battle between the Mob and the law. This museum is a memorable place for your next party, meeting, lunch/dinner or something else with your workers. It includes many rooms for event of small groups of 10 or until 500 guests. They are different types of rooms : theatre, reception, board room and others. 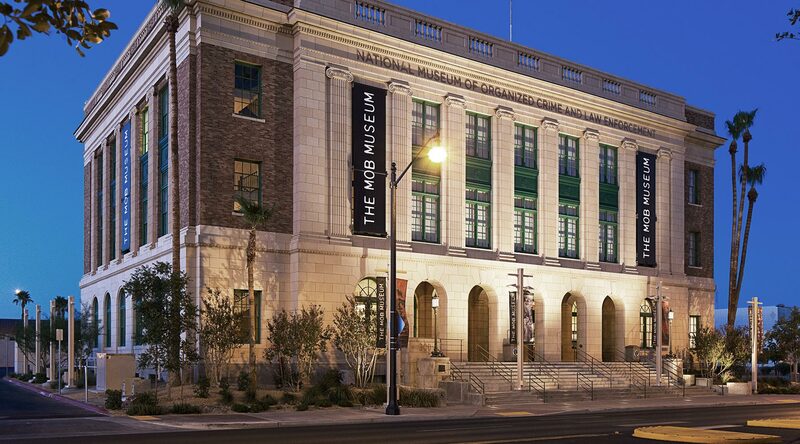 Compared to the casinos and others extravagant things, the Mob Museum is an other way to discover Las Vegas.